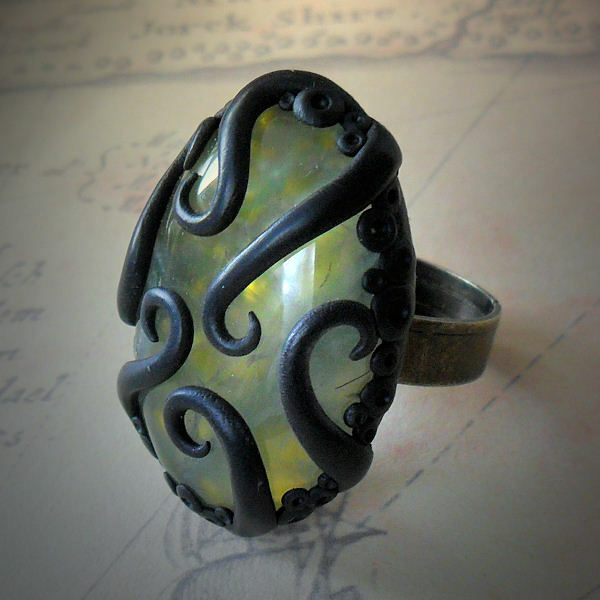 According to one website, Green Prehnite "enhances precognition... and the gift of prophecy". Appparently it's also a highly effective Shoggoth deterrent. 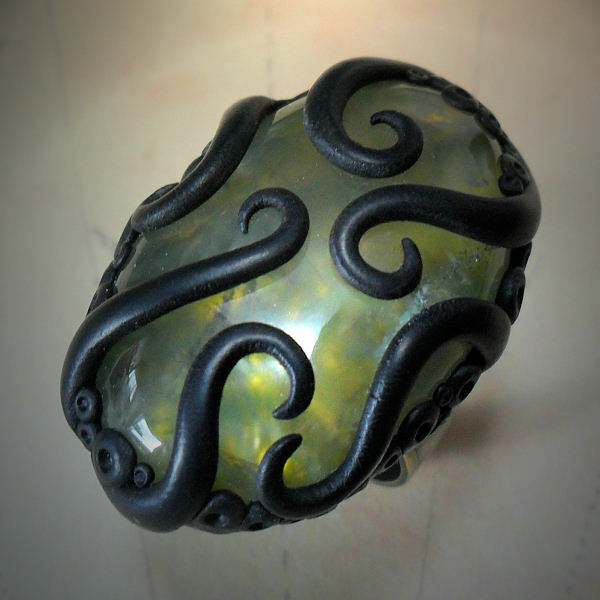 This ring has a sturdy antique bronze adjustable back with green Prehnite gemstone cabochon. The smallest possible size (ring diameter) is 18mm. 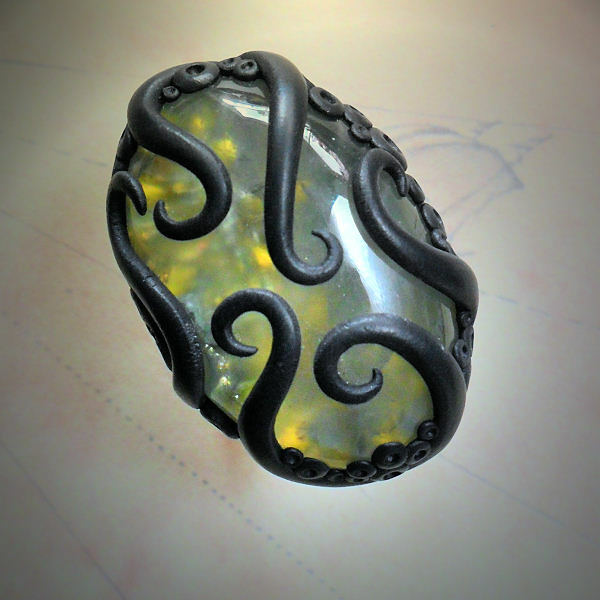 The gemstone is 20mm x 32mm.